Wellness is a positive state of well-being, driven by a lifelong dynamic process of change and growth within oneself, with others and with our environment. It is distinct from the concept of “absence of illness”. Wellness involves multiple dimensions, including emotional, social, spiritual, physical, intellectual/career, environmental, and financial. These dimensions interact continuously, influencing and being influenced by one another. 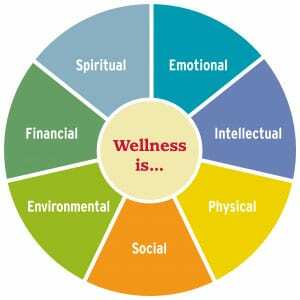 Individually and collectively, these wellness dimensions are associated with an enhanced quality and quantity of life. A person’s optimal wellness will be unique, based on individual needs, experiences, personality and circumstances.